On January 22 the French contingent beginning their service with the NATO enhanced Forward Presence Battalion Battle Group will be introduced at a ceremony at the Lithuanian Great Hetman Jonušas Radvila Training Regiment in Rukla. The ceremony will be attended by Commander of the Lithuanian Armed Forces Mechanised Infantry Brigade Iron Wolf Colonel Mindaugas Steponavičius, Commander NATO eFP Lithuania Lieutenant Colonel Thorsten Gensler, Commander of the French contingent Lieutenant Colonel Martin Wencesl, representatives of the Embassy of France in Lithuania. 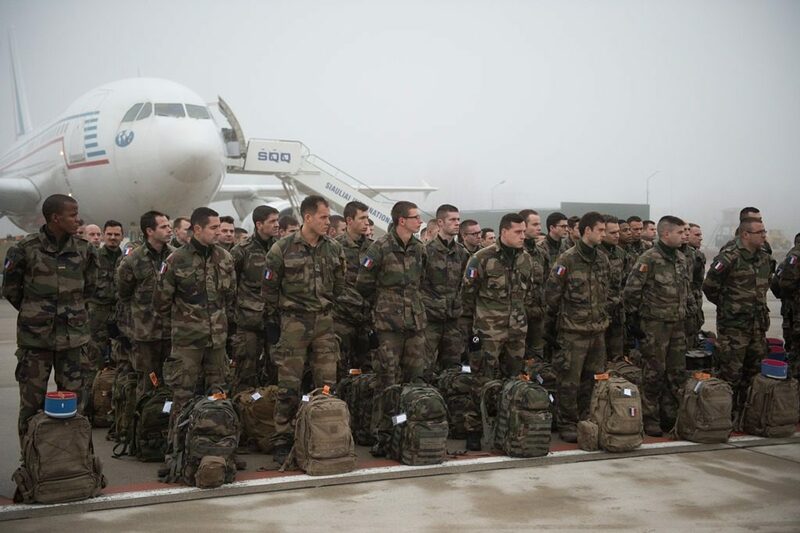 The core of the French contingent arrived in Rukla on January 10. The French soldiers will serve in Lithuania integrated into the Lithuanian Armed Forces Mechanised Infantry Brigade Iron Wolf for 8 months contributing to the enhanced NATO deterrence and defence measures in the Baltic states. When the French contingent is fully integrated with the rest of the eFP in late February, the unit will be fully ready to take part in exercises and training of the NATO eFP in Lithuania. The French contingent is composed of almost 300 soldiers, roughly 200 of them as a mechanized infantry company, and 100 soldiers will manage logistic and administration affairs. The French troops will serve as one of the NATO eFP maneuver companies, in combat support units and the NATO eFP Lithuania HQ. Troops and equipment are deployed from the 5th Dragoon Regiment located in Mailly le Camp and equipped with the best assets in the French Army, and from the 7th Mountain Infantry Battalion, a battalion well-adapted with the relevant knowledge to conduct the training period within the NATO eFP Lithuania. Like all the other eFP contingents, the French soldiers brought their combat, logistical and administrative equipment. The maneuver unit will be serving with Leclerc main battle tanks and VBCI infantry fighting vehicles. The multinational NATO enhanced Forward Presence Battalion Battle Group in Rukla (Jonava district) has been deployed since the beginning of this year as a response to the changed geopolitical situation. Once the French soldiers are integrated, the NATO eFP Lithuania will comprise over 1,200 troops.